CGCX is an abbreviation for Calvin Global Crypto Exchange. The CGCX exchange is based in Singapore and is aiming to be the prefered exchange for both the novice in crypto as well as the experienced trader. The exchange sets itself apart from its competitors with features such as insured assets on the exchange, a merchant platform for businesses and an advanced UI for professional traders. The exchange is currently doing an ICO for their native CGCX token, where the proceeds are going to be used to develop the modules further and expand the platform. Most people that have been in crypto for a while have heard the phrase “don’t store your assets on the exchange.” There is a good reason behind this saying, as several of the top exchanges have lost assets through hacks, and the hackers seem to find ways to penetrate the security no matter how much the platform tries to secure their funds. A recent example of this happened on Koreas biggest exchange Bithumb on June 20, where the exchange was hacked for 32 million USD. With CGCX, this phrase will no longer be valid, as all assets stored on the wallet is insured. This is one of the top features of the platform, as no other exchange has been able to promise insurance on their assets on the exchange. The platform is regularly going to do community votes for their altcoin listings. Before listing any altcoins for the community vote, the CGCX team does due diligence on the project to make sure it’s genuine and prevent users from buying fraudulent tokens. The advanced UI is mainly developed for professional traders, which features an optimized set of live market data for minute to minute traders as well as advanced order types for institutional investors. The UI supports in total nine order types and seven order attributes. The platform is made to be able to handle up to 1 million orders per second, ensuring that the platform will stay stable no matter the traffic. This is a great feature, as several exchanges tend to freeze when the volume on a coin explodes. POS and e-commerce system that every merchant can utilize to accept cryptocurrencies easily. Any merchant will be able to accept cryptocurrencies in a short time by either integrating the payment gateway to the web store or integrate the platform to the existing POS (point of sale) system by using CGCX web/mobile app. The merchant platform provides useful data about the customer’s behavior, spending patterns and more so the merchant can adapt to the need for their customers. Smart contract platform that can execute contract directly and without human intervention. The smart-contract will be a viable option for those that want more efficient contracts, as standard contracts are slow and are vulnerable to hacking, fraud and are expensive. Experienced solidity developers write the smart-contracts, and they reviewed by white hat teams to make sure they are safe before going to the public. All tradeable assets can be tokenized and executed through the smart contracts. To make the first trades for inexperienced traders easier, the exchange includes buttons to buy crypto in fixed amounts of 100, 500 and 1000$. In the same way, users can send and request payment from others. The CGCX token will be issued as an Ethereum ERC-20 token. It will be utilized as an utility token on the CGCX platform. The first year after the platform launches, the CGCX token can be used to pay 50% of the trading fees. 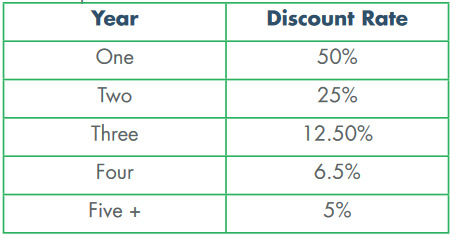 The discount rate will gradually decrease for five years. Users of the platform can vote on as many tokens as they want in the community vote, and the votes are paid with CGCX tokens. This is similar to Binance, where users have to settle votes with BNB coins to participate in the community coin listings. 50% of all tokens contributed in the elections will be used to develop insurance protections on the platform further. The team also plans to add more exclusive features for the CGCX token with time. During the ICO, a total of 1 billion CGCX token will be issued to investors in the token sale, which represents 50% of the total token supply. The proceeds from the token sales are mainly going to be used to build the platform and further enhance the modules, as well as for marketing for future expansion. The main token sale started on June 1, and it is ending on July 30. The project has sold tokens for over 20.5 million USD, which means the project has reached their soft cap of 5 million USD and a lot more. It should be noted that a lot of people are impressed that the project managed to raise this much during a bear market. Restricted for investment: USA, UK, China and all other countries where participation in token sales is illegal.